Over time, you can reduce wear on the vehicle from added driving. The best tool on the market today to effectively manage your drivers’ routes is the Geotab GPS fleet tracking system. Here’s how it takes your route assignments and fleet management to the next level. Geotab is designed with powerful route management features in mind, to maximize the efficiency and productivity of your fleet. Scenario: You have a week’s worth of calls/locations that you need to send employees to in the most efficient manner possible. Solution: Use Geotab to easily determine the most efficient routes for your drivers, and it will automatically assign the best directions for them to take. Scenario: An urgent service call comes in. One of your valued customers needs one of your employees to get there as fast as possible! 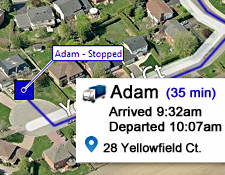 Solution: Instantly view where all your drivers are, and assign the closest or best-suited vehicle to that location automatically. Scenario: You suspect that your drivers are making unauthorized stops during their work days, or purposely “lollygagging” from one site to the next. Solution: Simply set Geotab to notify you of off-duty stops, off-hours use of vehicles, or detours. Scenario: As your company has grown, your fuel costs are mounting. Solution: Employ Geotab’s route management features to take control of your fleet’s escalating fuel usage. Scenario: Your drivers are frequently traveling to new locations, and over time, a lot of precious minutes are wasted by them using their phone or GPS to find addresses. Solution: Assign drivers from a computer anywhere, and the destination and route will automatically pop up on the driver’s GPS display. Remember, better route management means a more productive fleet. 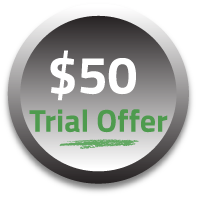 Get rolling with the famous $50 trial offer from GPS to GO. Implementing a Geotab fleet tracking system provides benefits for business far beyond just route management. With our trial offer, we send you the devices, you install them in seconds, and try them out for your company’s vehicles. When you’re ready to purchase, we credit the $50 to your account, and if you’re not 100% satisfied that it will give your business a competitive advantage, cancel anytime. No obligation, no fixed contracts, and nothing to lose. Put your business on the right route to success today.